Some people say that teak lumber are the world’s most valued hardwoods. Do you believe the saying without knowing the facts about it? You prefer not. We better check the truth behind this saying. Teak is an amazingly versatile wood that grows in abundance in Burma, India, Thailand and Indonesia. Since the best wood furniture made from teak comes from mature trees, it can take around 80 years before a teak tree planted today is harvested for wood. Because of this, Teak is the ideal wood for indoor or outdoor furniture because of its density, durability, hard and extraordinarily rich in natural oils as the resistant to moisture rot and insects. You’ll find an abundance of natural oils and rubber locked right into the tight grain of the wood. All woods contain oils that protect the tree. Teak, however, can retain these oils and its rubber even after being felled and processed. Because of this, teak has greater naturally weather-resistant properties than just about any other type of wood. When dried to a proper moisture level around 10 percent of its original content the oils and rubber weatherproof the wood. The oils also protect the wood from dry rot, which is a common problem in older wooden furniture. What’s more, the oils and rubber protect the heart of the wood from invaders like fungi and parasites that can destroy other woods. You don’t need to give such treatment in protecting wooden furniture from such intruders requires applications of weatherproof oils to your teak furniture. Teak all has it already. Teak is also a typical of hardwoods with exceptional lifetime guarantee for example, from old structures slated to be torn down and given new life as furniture. 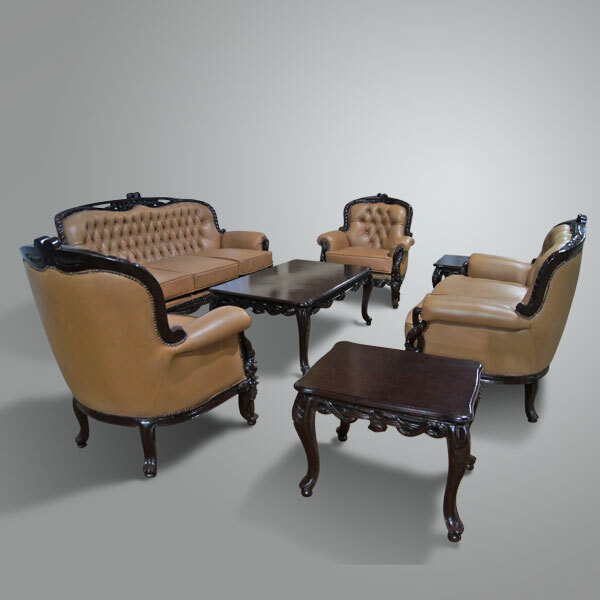 Since teak is an extremely durable and strong wood, a teak furniture owner can expect his or her purchase to last for many years. From its beauty, teak has natural rich golden brown color makes it unnecessary to paint or stain.